The late singer famously cast some of the ’90s’ biggest supermodels in his ‘Freedom 90’ and ‘Too Funky’ videos. 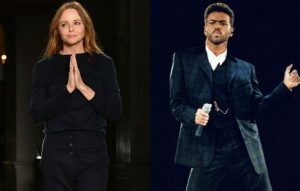 Stella McCartney ended her Paris Fashion Week show yesterday (March 6) with a surprise tribute to the late George Michael. The designer’s catwalk models came out at the end of her autumn/winter showcase to sing and dance along to a remixed version of ‘Faith’. Michael famously cast five of the ’90s’ biggest supermodels – Naomi Campbell, Linda Evangelista, Tatjana Patitz, Christy Turlington and Cindy Crawford – in his video for ‘Freedom 90’. Supermodels including Eva Herzigova, Linda Evangelista and Tyra Banks then appeared in his ‘Too Funky’ video two years later. Watch footage of Stella McCartney’s tribute below. However, he declined to comment on the pop icon’s funeral, which has reportedly been delayed because of toxicology tests. Meanwhile, a track thought to be one of George Michael’s last recorded songs could be released in the future, according to his recent collaborator Naughty Boy. The post Watch Stella McCartney’s surprise George Michael tribute at Paris Fashion Week appeared first on NME.